For decades, Smokey Bear has warned us of the dangers of wildfires. As responsible and concerned citizens, we've done our part to properly extinguish campfires and heed burn ban warnings. Nevertheless, humans continue to cause roughly 90 percent of wildfires in the United States. These fires, which occur more frequently in drier climates, can move up to 14 miles per hour, destroying everything in their paths, from properties to livestock. Preparing for a wildfire is similar to preparing for other emergencies that require evacuation. We'll talk about how you can prepare yourself and your loved ones for the event of a wildfire in detail below. But first, let's recap some wildfire prevention tactics. 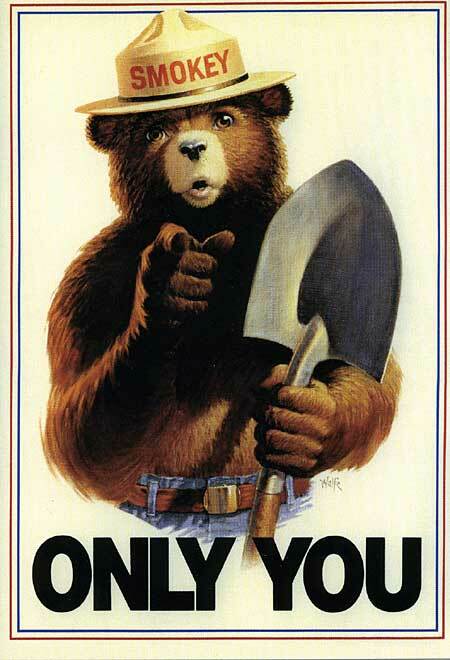 Most of us aren't strangers to wildfire safety. We've heard the warnings and seen the posted signs. However, the fires we intentionally start continue to be the number one cause of unintentional wildfires in the U.S.
Campfires are a wonderful way to enjoy an evening with friends of family; some might call them a necessity of camping, whether for cooking, warmth or atmosphere. While you may have some trouble getting your fire started, you know that once aflame, the blaze will continue for hours without much attention to detail. 1. Campsites equipped with fire pits will allow you to keep your fire safety contained in approved containers that have passed rigorous safety tests. If your campsite doesn't have a fire pit, don't attempt to create one on your own. If a fire pit is absolutely important to you while camping, check your local camping registration website or call the desired location directly to inquire about this feature before setting up a date to camp. 2. You're snug by the glow of the fire, the marshmallows have been roasted and the conversation is winding down. Before you retreat to your tent for the night, ensure you've extinguished your campfire completely. Never leave a campfire burning, or even smoldering, unattended. Unanticipated gusts of wind need only to catch a small burning ember to start a flame. 3. Campgrounds may change the rules about campfires throughout the course of the year, depending on the perceived risk for fire. These rules are intended to prevent wildfires, not to ruin your camping trip. Don't start fires when it's prohibited, even if you believe you are starting a fire safely while taking proper precautions such as properly extinguishing your flame. In many areas around the country, it's acceptable to burn yard waste such as leaves or brush. However, like campfires, these types of fires must be carefully monitored, as they are one of the leading causes of wildfires. 1. Burn yard waste in proper receptacles such as burn barrels. Your city likely has strict regulations regarding what constitutes a proper receptacle. In addition, your city will be able to give you additional information regarding the types of materials you can burn, when you can burn and where you can burn. 2. When burning yard waste, ensure you stay nearby at all times. Never leave a fire unattended; a small spark can become a flame in a matter of seconds. 3. Keep fire extinguishing materials such as a hose or fire extinguisher nearby as you attend your yard fire. In the event that sparks ignite, make every attempt to control the fire yourself. Direct another person to call 9-1-1 or, if you are alone, call the emergency services if you feel like you cannot control the fire on your own. Although wildfires most commonly start in the two ways above, there are many other ways in which fires can begin. In order for a fire to start and continue, only three things are needed: oxygen, fuel and heat. Since oxygen exists in our atmosphere, a fire can start virtually anywhere if fuel and heat are present. Fuel is anything that allows a fire to continue burning. Fuel can consist of chemicals such as petrol or of natural materials such as grass or wood. The latter are especially susceptible to becoming fuel sources during dry months. Heat can originate from flames on matches or cigarettes, but heat is widely available nearly anywhere, especially during the summer. Your car's engine provides heat, as does an afternoon desert wind. 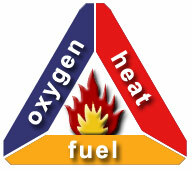 When heat, fuel and oxygen are combined, they create a perfect trifecta necessary for combustion. Below are some other common man-made ways in which wildfires start. In order to do your part to prevent wildfires, know the risks, heed the warnings and take proper precautions. Make your home safer by clearing dry brush as required by local regulation. Also, clear all debris from your roof, gutter and spouts. If you have never practiced an evacuation with your family, do so at least twice per year. Practice a scenario in which you're able to leave together in an organized fashion as well as a scenario in which you cannot. If a wildfire strikes your area, you'll likely be warned well in advance. If you receive an emergency warning about a wildfire in your area, don't delay. Put your emergency evacuation plan into action immediately. Looking around your home and planning which items to leave behind is not an easy process. Each item in your home likely has a memory attached to it, from your books and music to your furniture. Some items truly can't be replaced; your grandmother's wedding ring, a childhood blanket, your autographed first edition of Cosmos. Keep these items together in a safe place that's easily accessible in case of an emergency. Identification can be replaced, but it's usually a long and expensive process. In addition, there's not a lot you can get done without proper identification, from driving across town to renting a hotel room. You can store important papers in one of our waterproof document pouches in order to keep them safe, dry and in one place. In addition, consider keeping a copy of your bank account number, your home's deed, your car’s title and your emergency contact information in your safe place. If you take life-saving medication, we recommend that you store an extra set of your prescriptions with your emergency evacuation pack. This might also include medication you give to your pet or pets. Ready.gov is a site dedicated to helping you and your family to make a plan. You can utilize the make-a-plan section in order to figure out all of the important aspects of your emergency evacuation including how to decide on an emergency meeting place, how to practice the evacuation plan and what supplies you should gather ahead of time. Deciding where you'll go in the event of an emergency is a vital part of making a proper plan. Consider the following when narrowing down your options. 2. If a wildfire surprises you, your evacuation plan will differ. You may not have time to communicate with your family or gather your essential supplies. Although it's a scenario no one wants to think about, it's an important one to consider and practice. Adequate preparedness is your best line of defense in the event of a disaster. Are the devices in your home designed to warn you of fire in working condition? Does everyone in your home have access to a fire extinguisher? Does everyone in your home have access to an escape route, such as a fire ladder? Does everyone in your home know where to meet in the event of a home fire? Are you prepared to apply first aid or CPR if it's needed? How will you safely remove pets from the home? If you have any questions about disaster preparation, just ask us. We're available via phone, email, snail mail or at our store location in Van Nuys.